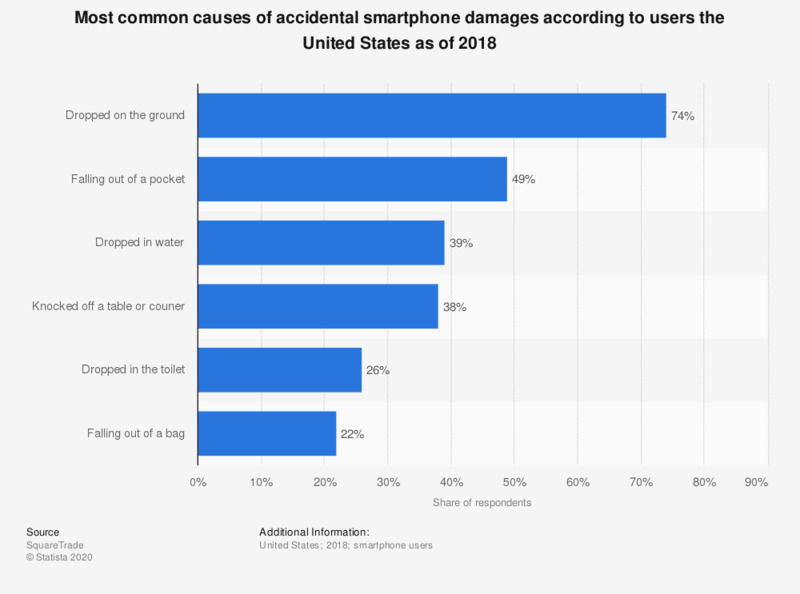 The statistics presents the most common causes for accidental smartphone damages in the United States as of 2018. During the survey period, 74 percent of respondents reported to dropping their phones on the ground. Phones falling from pockets was ranked second at a 49 percent occurrence rate. Cracked screens there the most common type of smartphone damage. If you use a smart phone for personal purposes, what brand is it?